A business, whether it’s a small business or a large business, sets a budget for themselves to survive in the industry. A company’s budget is usually reflected in their annual plans. However, budgeting is not limited to corporate use only. 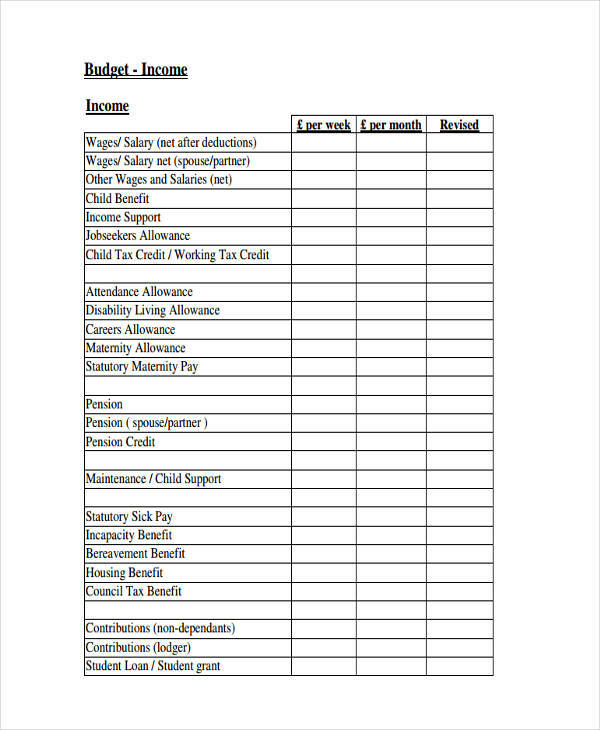 Everyday citizens like to set a budget for their own personal reasons as well. 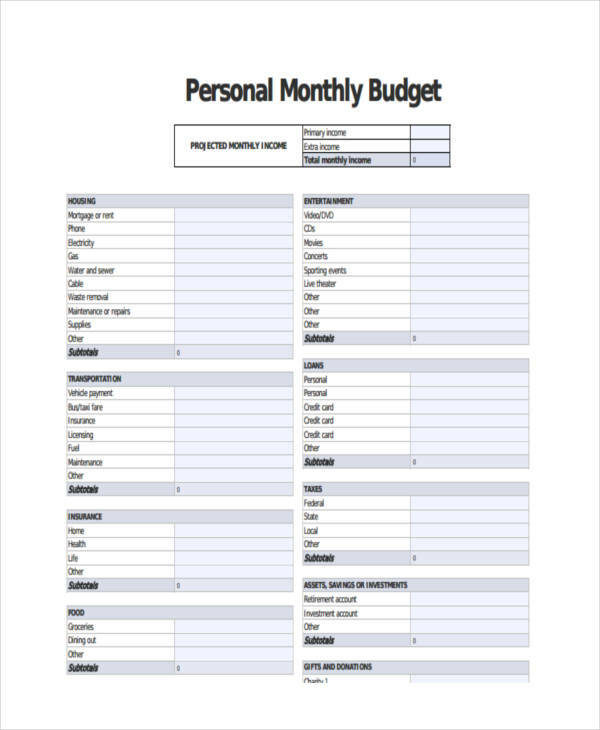 Here is a collection of personal budgets you can learn from. 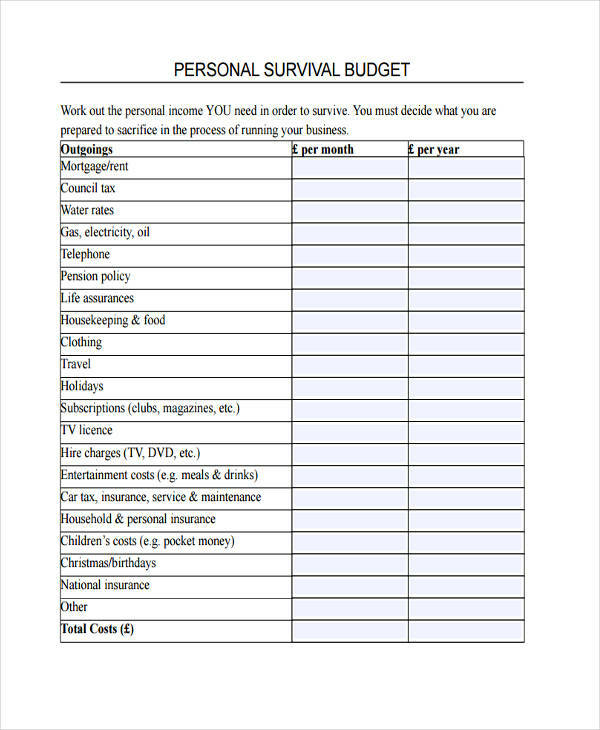 What Is the Definition of a Personal Budget? 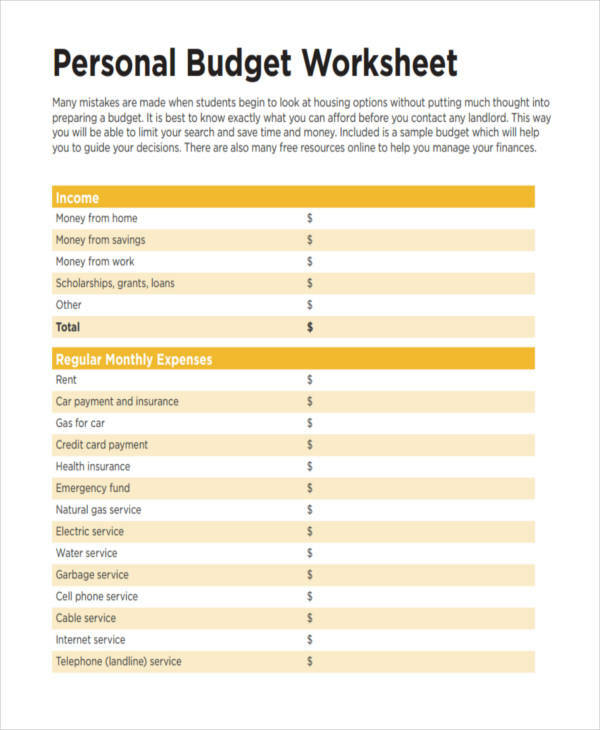 A personal budget, similar to an event budget, is a type of budget that allocates income towards expenses and the like. This is a financial plan used to ensure that an individual has enough resources to cover whatever is necessary. The primary reason why people stay on a budget is to be able to afford all the things that they need while staying out of debt note. After all, a debt would only leave us with more worries. 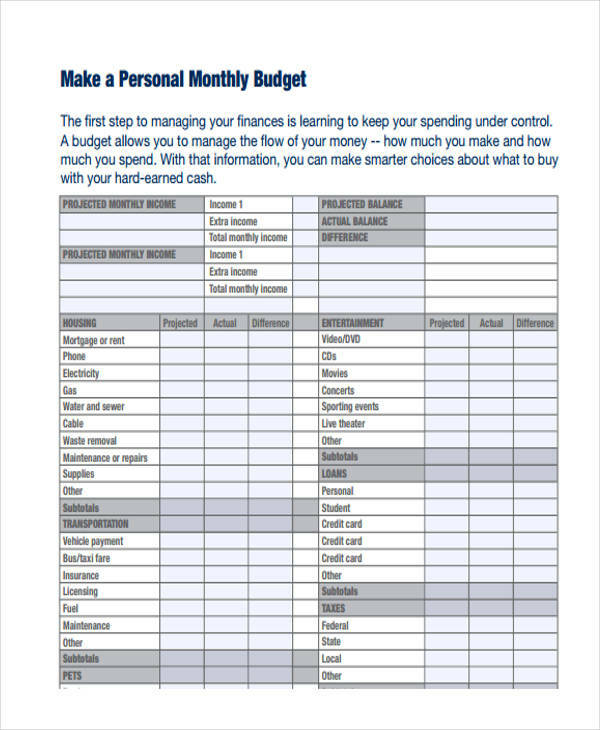 Having a budget will make it easier for you to save for the things that you want or need. A personal budget might be necessary if you want to travel or to renovate your house. It’s also a good way for you to save for your future. This could be for your future wedding, house, children, or even your retirement plan. It’s always important to stay organized and prepared when dealing with matters that may greatly affect your life. 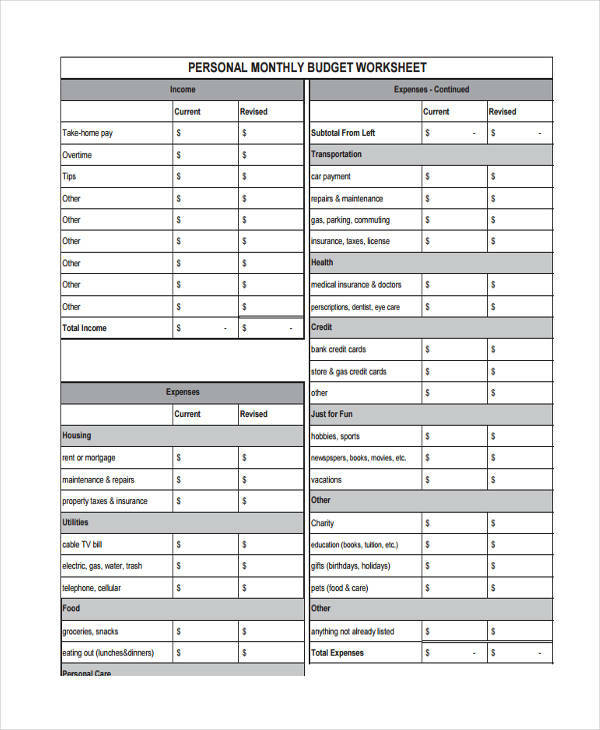 Furthermore, setting a budget for yourself will make it easier for you to monitor your regular expense reports. This will help you come to the realization that maybe you’ve gone too far with your spending. You might have alarming spending habits that need to be resolved immediately. After all, you would rather be drowning in money than bills and debts. 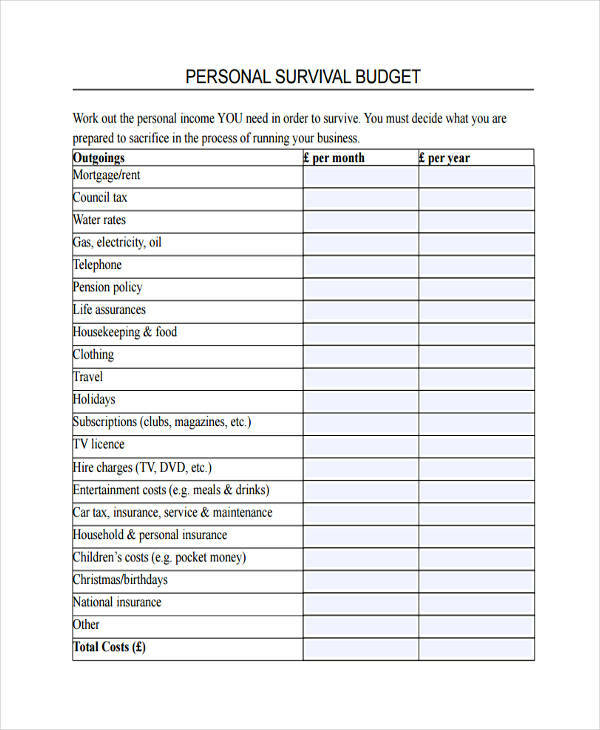 How to Create a Personal Budget? 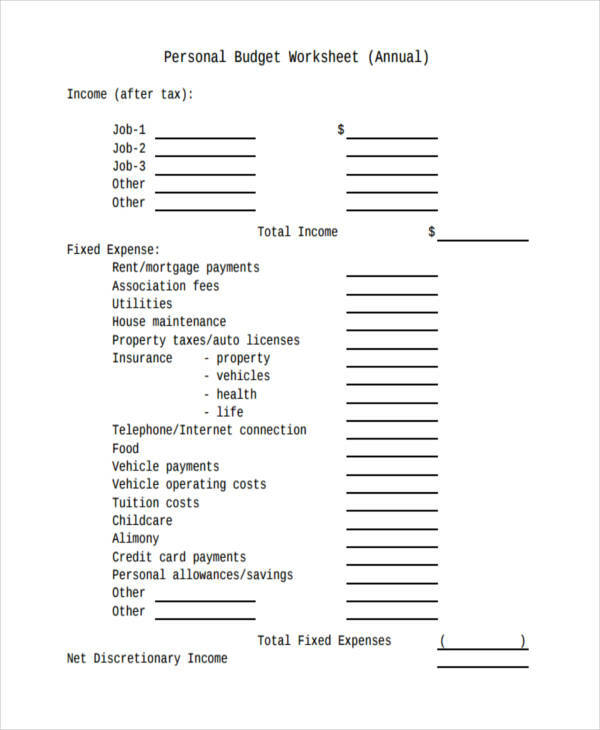 Identify your income and expenses. 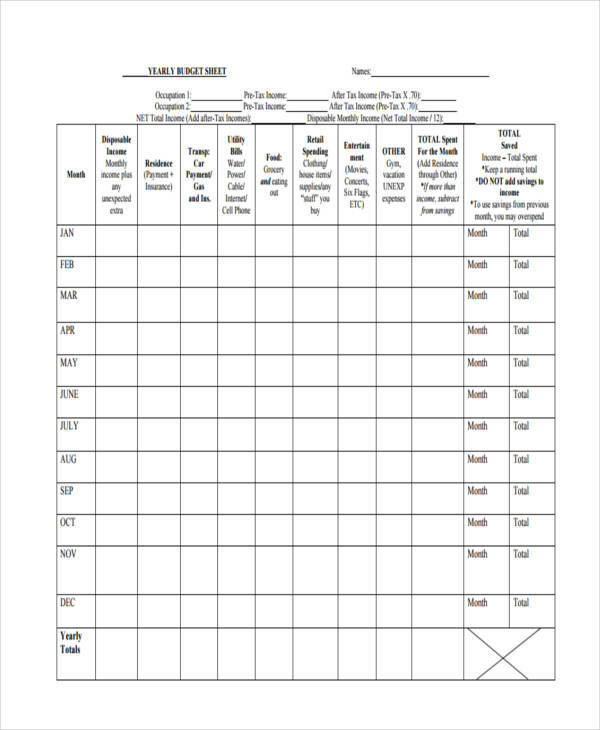 Calculate your total income and expenses. This could either be annually or monthly reports, depending on your personal preference. 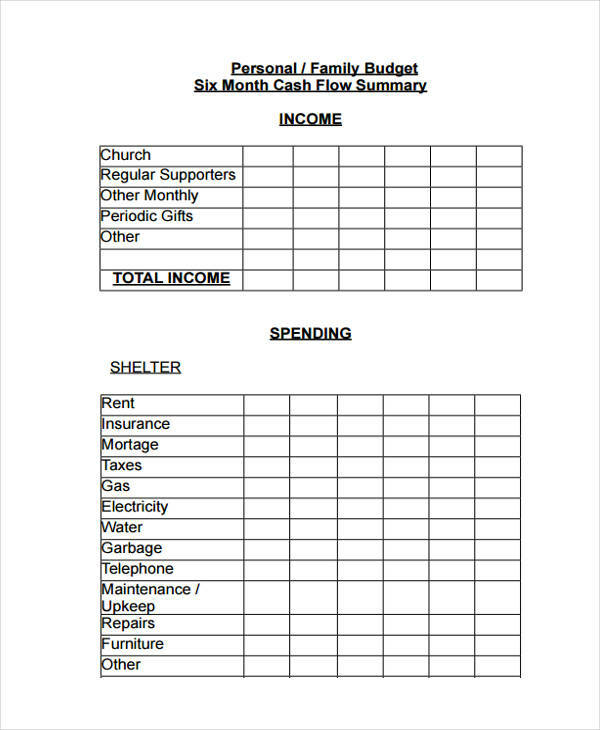 Make sure to list the items you regularly spend on, such as personal goods and household bills. 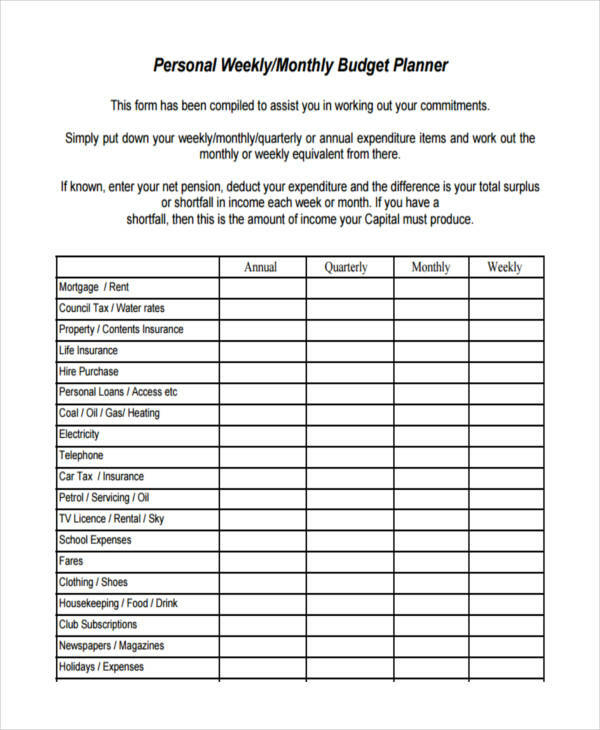 This would make it easier for you to identify how much you could actually fit into your planned budget. Add a budget allowance. You need to have enough to cover expenses that aren’t a part of your usual expenses. This would include hospital bills, various home repairs, and other personal matters. It wouldn’t hurt to have a small portion set for personal leisure, as long as you stay practical with what you want to spend for. Eliminate unnecessary items. If you’re on a strict budget, it might be necessary to keep shopping out of the equation. No, you don’t actually need a new pair of jeans when you probably have ten in your closet right now. It’s important to keep yourself disciplined with how you handle your money. Try and stay away from temptations and make budget analysis more productive. Separate items into categories. It’s important to clearly state your expenses so you won’t be left wondering where all your money went. To properly organize these items, separate them into specific categories. This could be anything from insurances, house bills, and car costs. This would make it easier for you to determine what needs to be prioritized and to keep track on what must be settled as soon as possible. 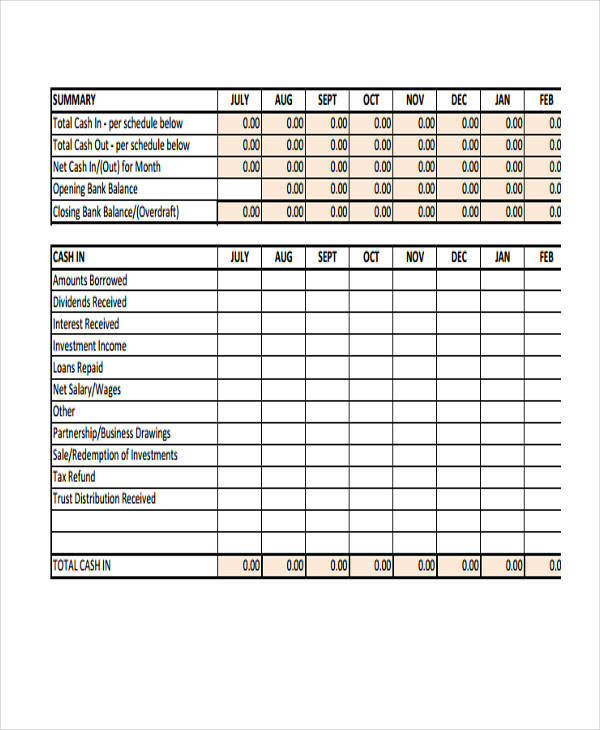 Always update your personal budget. We all know that change is inevitable. Unfortunately, goods and services may be more expensive than how they were in the past. It’s wise to list items with their corresponding amounts. 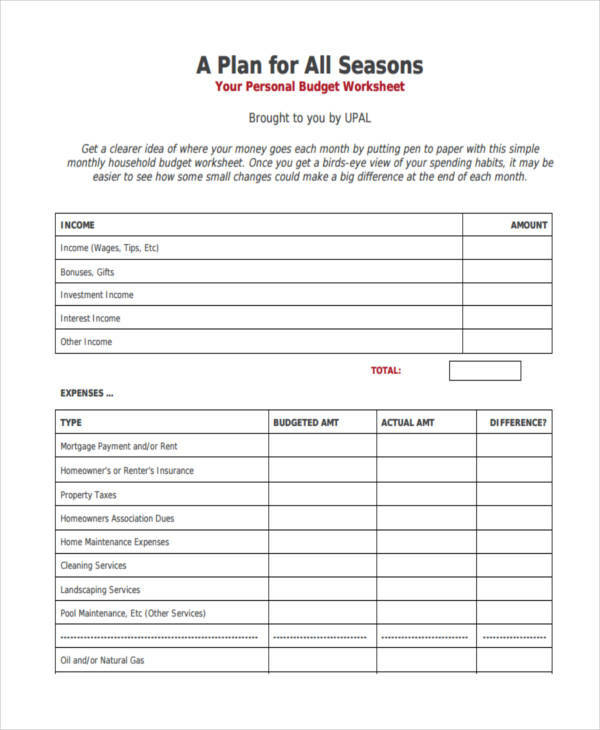 This will allow you to make comparisons and necessary adjustments to your budget. 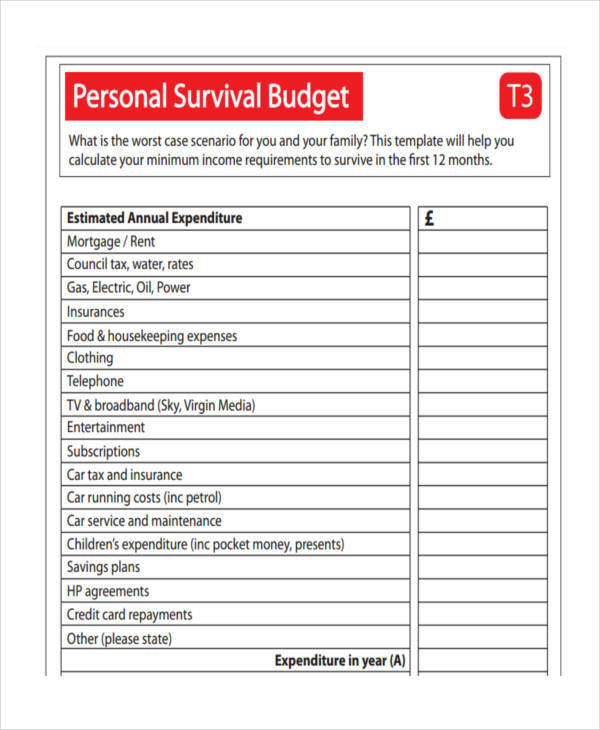 What to Include in a Personal Budget? Priorities. Always set your priorities straight. 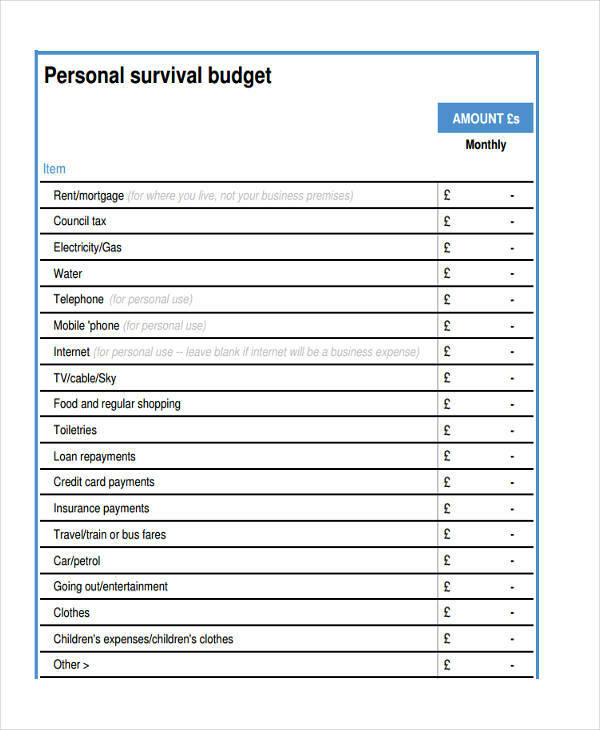 There’s no other way to thoroughly explain what you need to include in your personal budget but this. This might leave you thinking, what are my priorities? Well, you’re the only one that could answer such question but to give you an idea, here’s a quick run-through. 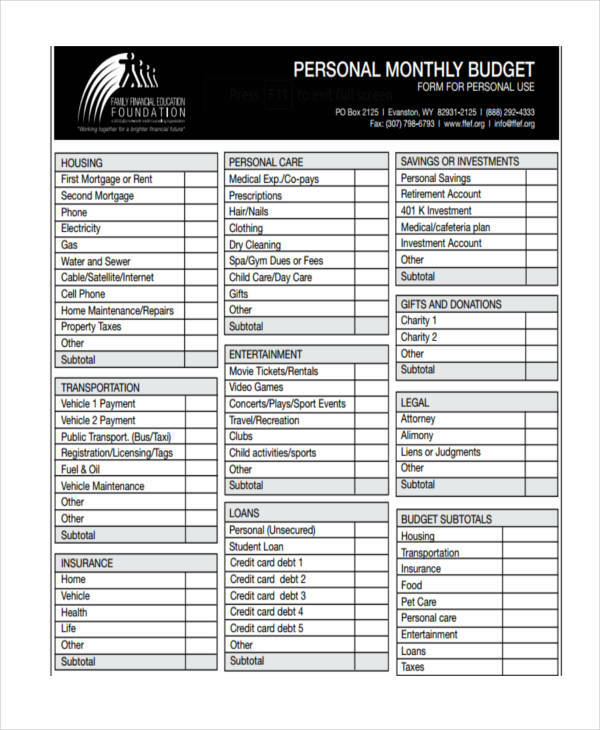 Your personal budget proposals should reflect your needs. This would include the basic resources, such as food, water, and electricity. Think about what you need to survive, or the things that you need to keep someone else alive. For instance, you’re a mom. You need to adjust your personal budget according to what you need and what your child needs. Although, it’s quite difficult to separate needs from wants. Sometimes, we might think we need something but in reality, we can actually survive without it. This is especially applicable for individuals who are on a strict budget. It might be necessary to make small sacrifices to stay on budget. Furthermore, including an allowance to your budget might come in handy. Unforeseen circumstances can result in more expenses than what you set out for, so it’s better to be safe than sorry.